Before Opening an Apple Developer Account: It is required by Apple to have a unique (Business) developer account for each app you submit (It is recommended that the 'team name'/business name will be identical to the app name.) Meaning, the owner of the apple developer account must be the owner of the app which is being submitted. Third party members can not submit an app in their account on behalf of someone else e.g. reseller accounts. Apple will enforce this heavily and will require documentation showing the explicit connection between the apple developer account, app owner and all of its content. You will need to have ready once the app is submitted, a signed PDF including the logo, names, signatures etc. showing the above is true. Should you have any further questions about this process, feel free to contact our support at support@swiftic.com. To submit your app successfully to the Apple app store, it must include features, content, and UI that elevate it beyond a web App. If your app is not particularly useful, unique, or “app-like,” it will not be accepted to the Apple Store. In addition, Apple doesn’t allow apps that are based on web links anymore which they enforce heavily. Also, it is required by Apple to have a unique developer account for each app you submit (It is recommended that the 'team name' will be identical as the app name). Every app needs to be unique and add something to the store that is not already there (unique content and design). Apps that don’t have a unique design and just use template skins, images, content etc. will be rejected by Apple. This also means that you should not submit multiple versions of a similar app. Developers who do this will be removed from the iOS developer program. Your app should include features, content and user interface that make it more than just a repackaged website. It makes more chance of being accepted if it’s useful, unique and provides lasting (entertainment) value. This means that, other than catalogs, apps should not primarily be marketing materials, advertisements, web clippings or a collection of links. 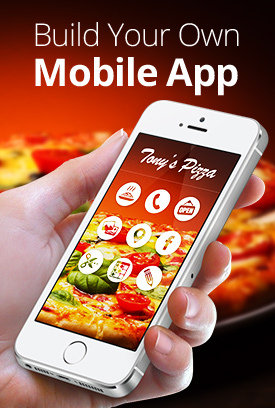 Apps should be intended for a bigger set of users and have to appeal to a broad consumer market. If an app is only interesting to a small group of people, Apple might reject it, as they state that the App Store is not the correct forum for personal apps, portfolio and photo galleries. The app shouldn’t contain upsetting or offensive content, damage devices or be likely to cause physical harm from its use. Logically, all apps must comply with legal requirements of any location where you make them available. This also means that you must protect the privacy of users and that their data must be handled with care. Make sure your app only includes content that you created or that you have a license to use. And be sure that all mentions of Apple product names are spelled correctly in your app (‘iPhone’ instead of ‘Iphone’, ‘iTunes’ instead of ‘iTunez’), otherwise Apple will reject your app. We hope these tips will be useful to you and make it easier to create a unique app that complies with the updated guidelines.